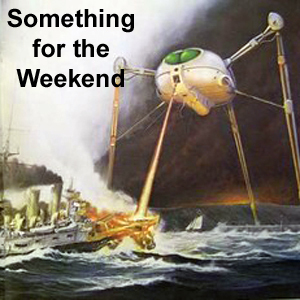 Something for the Weekend 30-01-16 (or "Episode 4", if you prefer). In this week's episode I talk about adaptations of H.G. Welles' War of the Worlds, digressing onto related topics like Dr Who and The Time Machine. Fifteen minutes streaming consciousness - like being in a cafe with me when I've had way too much coffee.